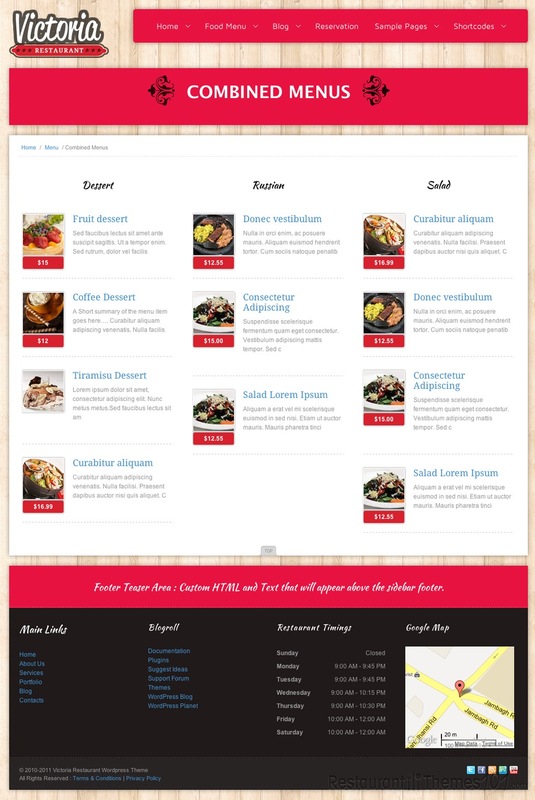 Victoria is a restaurant WordPress theme created by System32 and featured on ThemeForest. If you are a restaurant owner and you want to create a website that fits your restaurant’s need perfectly, then you should check out Victoria, because it looks very attractive and it has several special features any good restaurant website should have. The theme features a content slider and it allows you to show featured content to your visitors. When it comes to the menu, you can use custom post types to create a detailed menu with descriptions and prices, and you can include photos of your dishes to it. 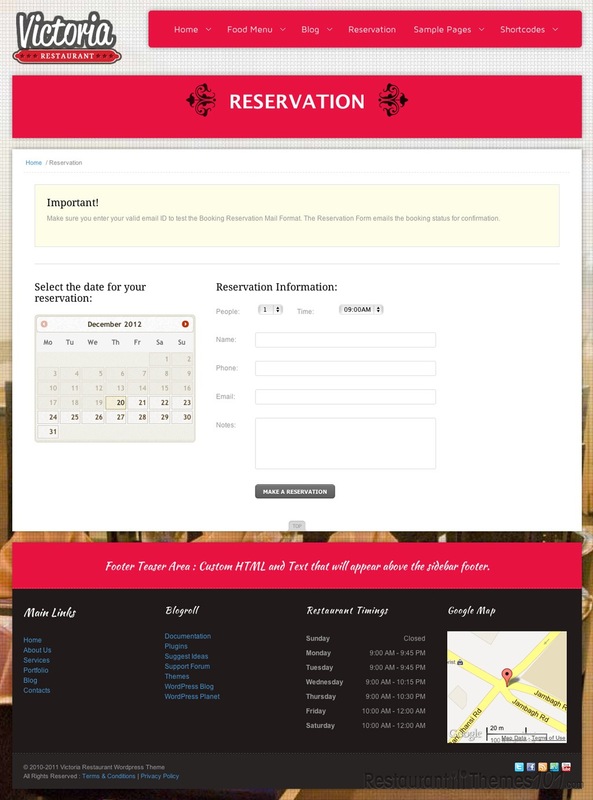 The table reservations is another important special feature of this theme because we all know how great it is for a visitor when they can book a table with just few clicks without having to bother calling the restaurant or snooping around the website for hours to find some kind of a contact page. This theme also contains a blog section where you can add as many posts as you want. There are several sliders you can choose from, and any one of them will make your page look modern and very interesting for your visitors. This theme will surely make your website look and feel very professional with its options and features, including the great drop down menus and you can also add embedded videos to your website with ease. When it comes to fonts, you can choose out of 100 different fonts used for this theme. This theme has great social integration; it is integrated with Twitter, Facebook, StumbleUpon, Flickr, Gravatar, Digg, Technorati, Reddit and YouTube. It also offers Google Maps integration so all your visitors can easily find your restaurant without getting lost, even if they are out of town, Google Maps will show the exact location and directions on how to get to your place. It is completely widget ready and fully localized and ready for translation into any language. The Victoria theme is also available as a HTML template.